Cesar Ladignon, 66 passed away on Monday, January 21, 2019 in Morristown Medical Center, Morristown, NJ. The funeral will be from the Thiele-Reid Family Funeral Home, 585 Belgrove Drive, Kearny, NJ on Saturday, January 26, 2019 at 9:00 a.m. a Funeral Mass will be offered in St. Stephen’s Church, Kearny at 10:00 a.m. Interment will follow at Holy Cross Cemetery, North Arlington, NJ. 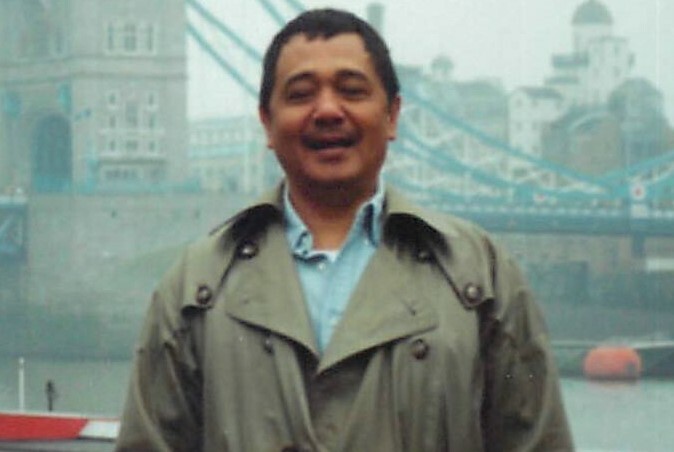 Relatives and friends are invited to visit at the funeral home on Friday from 4 to 8 p.m.
Mr. Ladignon was born in Cabanatuan City, Philippines. He came to this country in 1988 and lived in South Amboy, NJ and North Arlington before moving to Hackettstown four years ago. He earned his Bachelor of Science Degree in Engineering from Feati University in Manila, Philippines. Cesar was an Engineer for URS Corporation in New York City for several years before retiring in 2008. He was a member of the Nueva Ecijanos Philippine Civic Organization. He is survived by his wife, Helen (nee Galindo) Ladignnon; five children, April Justynski, Maria Myers, John Erwin Ladignon, Daryl Ladignon and Lord Barry Ladignon, He is also survived by nine grandchildren.